The Girl in the Red Coat is Kate Hamer’s début novel and is published by Faber. Beth had always been scared of losing her daughter, maybe more than most but freshly single and struggling to make ends meet, the fear and anxiety grip her like a vice. Then one day, while at a storytelling festival, her nightmare becomes a reality. When Carmel is taken by the man who calls himself his grandfather there’s a moment you can’t help but hope he’s telling the truth. The potential for an abduction story to become incredibly dark is always there but The Girl in the Red Coat is not so much a fast-paced thriller but a look at loss and survival. We follow Carmel and Beth on their separate lives for years, Beth living with the torment of never knowing and the slow process of learning to live a new life and Carmel with a fake family in a foreign land. Although it’s Carmel that travels further on her journey I personally found Beth’s tale just as compelling. My only qualm was the hinting towards Carmel having a real healing ‘gift’ and I found this a tad jarring in a novel so grounded in realism. 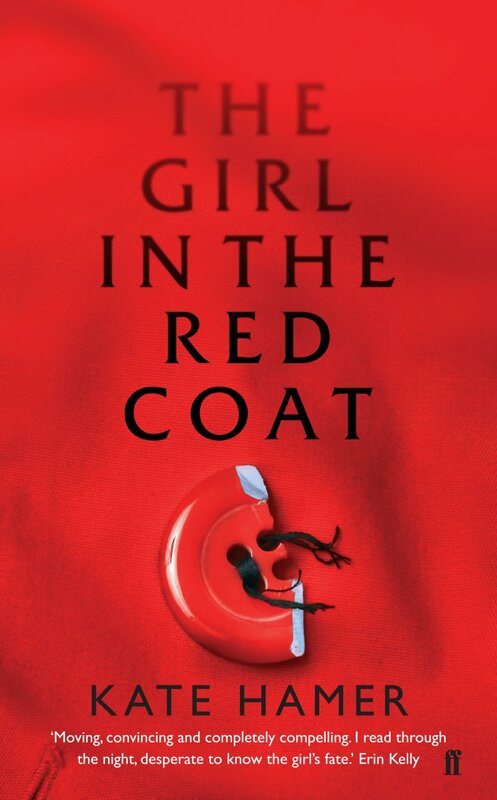 Apart from this teeny issue though I found The Girl in the Red Coat an absorbing and evocative read. I’ll be looking forward to more from Kate Hamer.